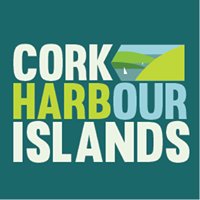 Cork Harbour is the second largest natural harbour in the world. Check out why an escape to OUR islands is a Great Idea.The islands are not just about history and sightseeing attractions. There is much more to experience such as adventurous activities, sailing, and luxuries hotels. Cork Harbour Islands provide a scenic escape from the busy world. Whether you’re looking for an island to relax and maybe a bit of romance with your partner, Or an island that’s full of adventure and activities, in a family-friendly getaway that’s fun for everyone. The largest island in Cork Harbour ,the town Cobh is located on the island .A must-do there is a Titanic trail and Cobh road train to explore Cobh’s history. Visitors will find plenty of activities that range from Titanic experienceandself-drive boats around the island to vibrant hotels. By far the most popular and known of the islands. While in Fota, you can explore Fota house and garden, visit Fota Wildlife park to see the wide range of animals or spend quality time enjoying your drink at Fota island resort. The smallest island is a fantastic place to visit if you’re looking for adventure with your family. You can also explore some of the history, most from the 18th century, when the island was a prison. Just a short 5-minute train ride from Cork gets you to Little island where you’ll find an amazing landscape alsodecent cafes and restaurants. Little Island is one of the best getaways destination to relax.